More than 13,000 were left homeless after a steady, torrential downpour that hit El Salvador Friday and didn’t let up until Sunday. As of mid-afternoon today the death toll was 175 and climbing. A warning went out earlier in the week telling El Salvadorans to prepare for Hurricane Ida, but it was actually the rains of an unnamed storm that caused the destruction. Even with the warning, many, like those on the coast, didn’t know which way to turn. “They didn’t know if the ocean was coming for them or the mountains, or just a rain storm. They didn’t know where the higher ground would be,” Micah Whitt said over the phone from El Salvador. Whitt is living there as a long term volunteer with the Fuller Center. 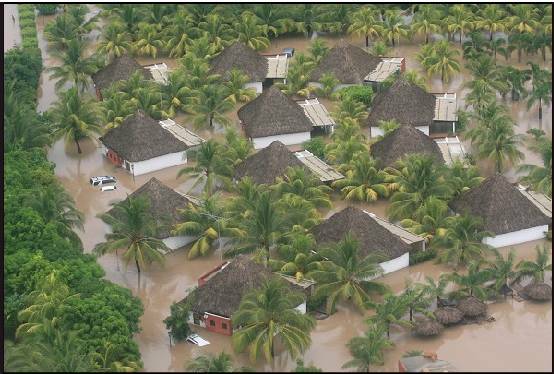 But much of the small, coastal country in Central America wasn’t so lucky. “There’s damage that occurred in rural areas and in the cities and urban areas, to poor people and to rich people, and places where you might expect the water to be drained well and places you wouldn’t–it’s indiscriminate damage,” Whitt said. 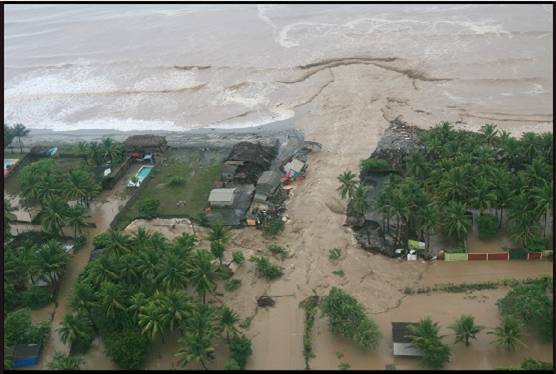 Bridges were destroyed, rivers overflowed, and mudslides and landslides buried houses, cars and people. With Whitt’s help, Country Director Michael Bonderer is ready to gather willing people and resources in order to help where needed. But so far they have had trouble mobilizing. The relentless rains brought down bridges and roads that were the only way in to many of the places needing aid desperately. Immediate funding is needed if they are to reach the devastated areas. Though it will take time to move beyond the destruction El Salvador incurred, the Fuller Center can learn from it. DONATE TO HELP! Please donate to help alleviate the suffering in El Salvador. Click here and to donate to the relief efforts. The recovery will take months – if not years. Consider joining or organizing a team to go and lend a hand to the people of El Salvador. Visit our Global Builders page. After the storm finally let up Monday, country director Michael Bonderer’s and volunteer Micah Whitt’s first goal was to check on Villa Fuller, the ongoing project of Fuller Center El Salvador. They visited as quickly as possible and were relieved with their findings. The homes were protected in part because of the location of the village. For one, it’s not near mountains or rivers, it’s largely on flat land. 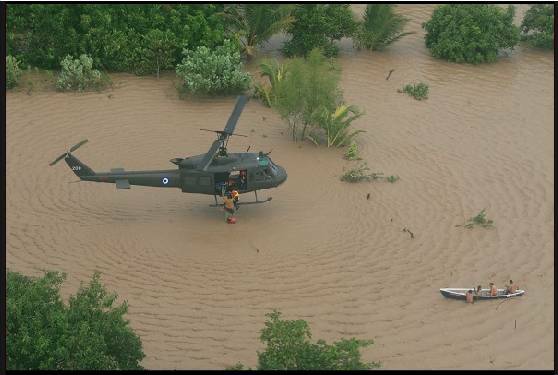 But, as Bonderer pointed out, there’s a village within 10 kilometers, where thousands of people are completely stranded. Even the flat inlands weren’t safe. But one thing that is certain is that the draining system put into Villa Fuller by Global Builders groups from UCLA and the University of Cincinnati, as well as many other volunteers, worked as planned to move water around the project so it wouldn’t flood. The work of Villa Fuller can go on as planned. View pictures of the village and read more about that project here. The recovery will take months – if not years. Consider joining or organizing a team to go and lend a hand to the people of El Salvador. Visit our Global Builders page. Please donate to help alleviate the suffering in El Salvador. Click here and to donate to the relief efforts.